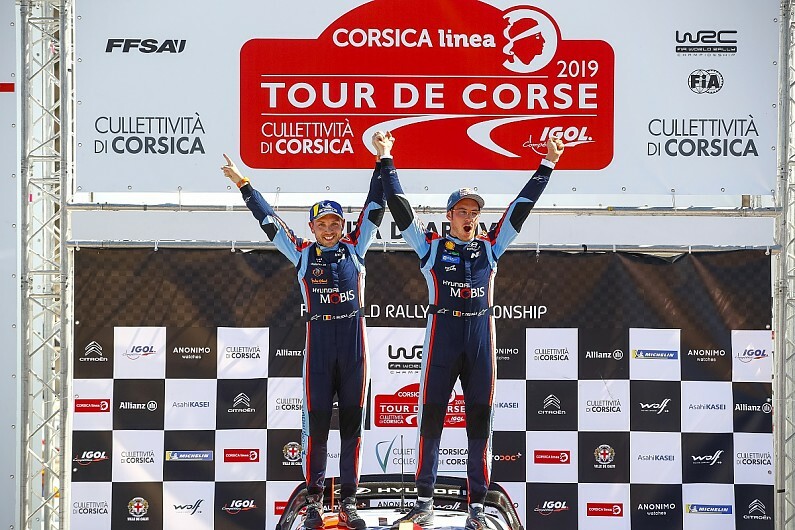 A World Rally Championship round based on the French mainland could be the ‘biggest rally on earth’ according to WRC Promoter’s Oliver Ciesla. Calendar negotiations for next season began with a pivotal meeting last month, where FIA president Jean Todt and WRC Promoter managing director Oliver Ciesla discussed the 14 rallies which will make up next year’s schedule – with last month’s Tour of Corsica at the heart of those talks. Asked about the Bastia-based event Ciesla said: “You will not hear negative comments from me about one of our events. I won’t. And I don’t want to – the organisers made a fantastic effort. “It would be tremendous to have this quality of event on the French mainland – it could be probably the biggest rally on earth. “We have so many fans in France supporting these French heroes in our sport. “We could attract half a million spectators and, by European standards, that would be outstanding. “I think we can all acknowledge this is not possible on an island, despite it’s beauty. “I’m advocating to see if we can become even better. Look at the sheer numbers in terms of economic benefit, Dominique [Serieys, rally director] said this event is worth €9m to the local economy. “But other events with economies weaker than France’s are generating €50m. France has the fan base and the top skill with the FFSA there. Serieys confirmed to Autosport, however, that he has no interest in leaving Corsica. “It’s not possible to leave,” he said. “We find out in three months what is the calendar. “If we are on the calendar then that gives us nine months before the next rally, but then we need to give the region three months’ notice and that would mean six months to organise a new rally in a new place. The French mainland last held Rally France in 2014 – won by Jari-Matti Latvala (pictured above) – but after funding was pulled for the Alsace event for 2015, it has been on Corsica since. Alsace had taken over from Corsica in the WRC in 2009 until 2015.